‘Why are Most Buildings Rectangular? 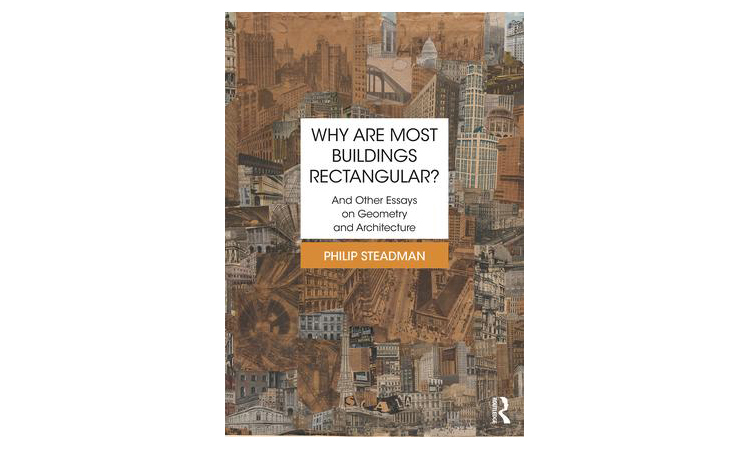 And Other Essays on Geometry and Architecture’ is available to order online. Philip Steadman is Emeritus Professor of Urban and Built Form Studies at the Bartlett School (Faculty of the Built Environment), University College London, UK. He studied Architecture at Cambridge University from 1960 to 1965, and after graduating joined the newly formed centre for Land Use and Built Form Studies at Cambridge (later the Martin Centre). In 1972 he was a visiting research fellow at Princeton University. In 1977 he went to the Open University to join the Centre for Configurational Studies, of which he was Director until 1998. He joined the Bartlett in 1999. Much of his research has been on the forms of buildings and cities, and their relationship to the use of energy. He has published three previous books on geometry and architecture: The Geometry of Environment (with Lionel March, 1971), Architectural Morphology (1983), and Building Types and Built Forms(2014). His study of The Evolution of Designs: Biological Analogy in Architecture and the Applied Artscame out in 1979 and was republished in an updated edition in 2008. He has also written books on energy and the built environment, American cities, the effects of nuclear attack on Britain, and the painting technique of Johannes Vermeer (Vermeer’s Camera, 2001).